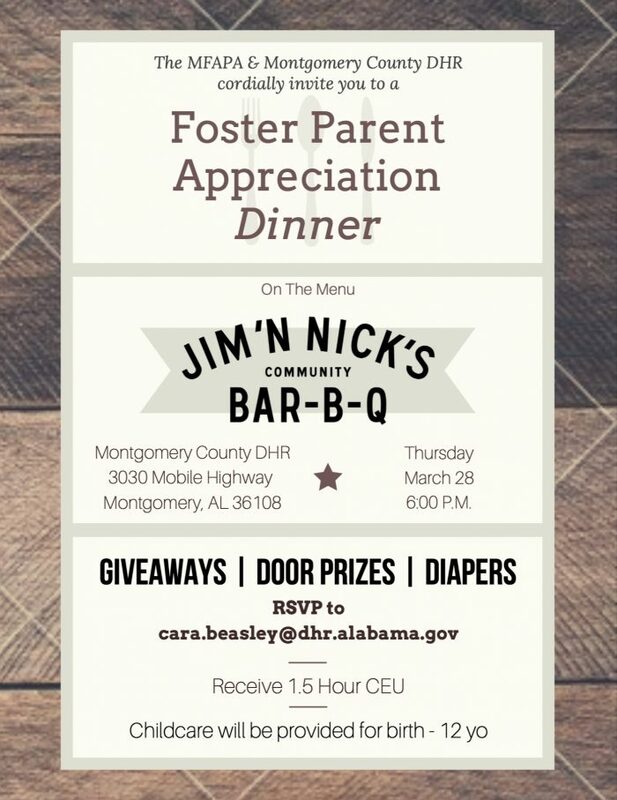 If you are a foster parent in the River Region, you are invited to …. drumroll … be appreciated. On Thursday, March 28, 2019, at 6:00 pm at 3030 Mobile Highway, please come enjoy some good food and good friends. There will be Door-prizes, Giveaways, and best of all … diapers. Previous Post: « Do you want a boring, uninteresting, and mediocre life? If so, do NOT attend this meeting.